This week’s secret ingredient is Tomato! Tomatoes are one of those beautifully colored red and orange foods that are full of lycopene. Just a reminder that lycopene is associated with lowering the risk for several types of cancer including skin, breast, cervical, lung and prostate. It also is known to lower the risk for macular degeneration. Don’t forget it helps lower the risk for coronary artery disease. It’s a good source for Vitamin C and both help to stimulate the immune system. If you want to get 2-8 more times the amount of lycopene, cook your tomatoes to release the carotenoid bound within the cell walls. Oh and lets not forget the iron, potassium, fiber, b vitamins and quercetin (a phytochemical that helps protects against cancer as well as heart and degenerative eye disease). Look for plump tomatoes with tight skin and dark color. Oh and give them a sniff. You’ll want to find an earthy scent. 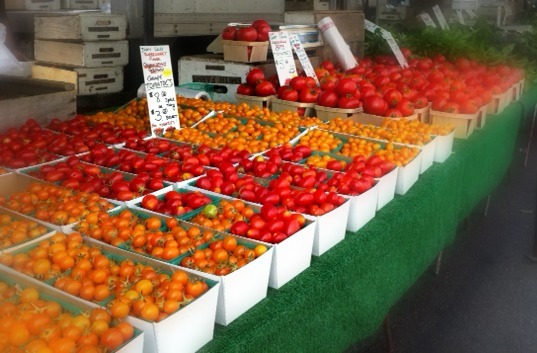 Do not put those beautiful tomatoes into the refrigerator but into a nice bowl on your countertop or table. If you need them to ripen you can place them into a paper bag. All of those good benefits I just shared on the lycopene in tomatoes will need fat to be used. Lycopene is fat-soluable so make sure you eat both raw and cooked tomatoes with a little fat. Think about Olive Oil for salads or coconut oils when cooking. 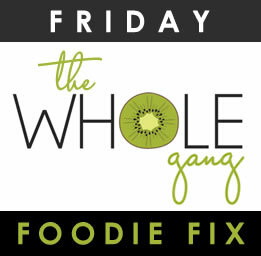 Next Week’s Secret Ingredient for Friday Foodie Fix is … Carrots! Now it’s your turn to share your gluten free recipes with tomatoes below. Hi Diane! Thank you so much for featuring my Zucchini Fries! This week, I shared my Lasagna Roll Ups! They're Gluten Free, Marker's Diet friendly, with a Vegan Option! Have a great weekend! I've been eating tomatos like there's no tomorrow! Pureeing into raw marinara, marinating in balsamic vinegar and olive oil, and tossing them in every summer salad. I'm linking up an old recipe that I love…Watermelon and Tomato Salad. Plus, my blog post about it features two of the coolest kids! I must go check out Shirley's Tomato Rosemary Mint Ice Cream! Really? That woman never ceases to amaze me! This week I am sharing 3 recipes that contain tomatoes. Sun dried tomato and artichoke "pasta," an easy marinara recipe, and grain free Mexican rice.